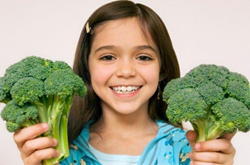 Pediatrician and author of The Step Up Diet educates parents about the 5 health benefits of focusing on vegetarian meals and skipping meat one day per week. As part of a 12-month resolution challenge designed to help families eat nutritious foods and become physically active, Dr. Marta Katalenas, an Austin, TX pediatrician, recommends selecting one day of the week as Vegetarian Day, beginning this month. By eating grains, beans, vegetables and fruits for an entire day, families will be creating healthy eating habits while improving their long-term health. Exercise and healthy living advice from Dr. Katalenas can be found in her book “The Step Up Diet: Quality, Quantity, and Timing”. Case studies detailed in the book describe how physical activity and nutritious meals improved the health of children that were once unhealthy and unwilling to exercise. Families can adopt monthly resolutions created by Dr. Katalenas on her website that will help them make easy changes to become healthier and stay on track throughout the year. Dr. Marta Katalenas is a board certified pediatrician and owner of the Pediatric Center of Round Rock. She is a public speaker and author of the book "The Step Up Diet: From Scratch… The Quality, Quantity, and Timing Solution to Childhood Obesity," a guide to healthy cooking and eating for busy families.